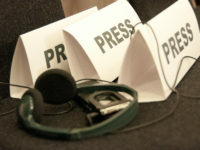 The challenges faced by the Canadian media sector represent an incredibly challenging policy issue for the government. The struggles to adapt to heightened competition in the digital environment – the local paper now competes with a myriad of alternative choices – has led to layoffs, closures, and intense lobbying for a bailout. For the past few years, the government has largely resisted the lobbying efforts, recognizing the risks to the independence and trust in media that can come from government funding for the media itself. While concerns about government influence over the media and journalists are nothing new (I appeared before two Senate committees yesterday which both featured prominent former journalists), there is a difference between the prospect of future appointments and the perception of cash for favourable coverage. The changing state of course materials in education involves more than just increased reliance on alternative materials such as journal and newspaper articles. 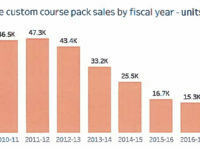 Yesterday’s post highlighted the significant decline in book copying as part of coursepack materials, but the data also consistently demonstrates that coursepacks are being abandoned in favour of digital course management systems (CMS)(previous posts in the misleading on fair dealing series on the impact of the 2012 reforms, the wildly exaggerated suggestion of 600 million uncompensated copies each year, and the decline of books in coursepacks).